The death of a loved one is one of life’s great traumas. The sudden and unexpected loss of someone that you care deeply for is something that creates waves of grief that alter over time but may never end. The essence of the human condition involves coming to terms with death in life. The stuff of poetry. We know that one day our time will come. We prepare for the expected arriving unexpectedly. Those that have a family, a partner, a liability or a business would all be wise to prepare and plan. I often wonder why it is that so few of us are able to talk about this prospect clearly with those that are immediately impacted. Talking about such events and scenarios is hugely valuable with the advantage of hindsight, but talking is rarely enough, taking action and implementing suitable arrangements to ensure that things go as planned is priceless. This is the what clients often mean when they describe having a sense of “peace of mind”. When things are not discussed and little if any action is taken, life can be so much harder and of course raises mixed feelings about the one that has died, not having to struggle with the consequences. The new film by Steve McQueen “Widows” is based on this problem. A gang of criminals are killed and leave their families without any financial security. Worse than this they owe money to some ruthless men. The widows are forced to plot a course for their own survival. This may be an extreme situation, few people are really going to be left having to commit crime to survive, but many are left in positions that could have so easily been secure. Money offers choice, it offers security in the form of the number of options available. It is not security itself and of course doesn’t replace anyone. As a movie, Widows is marketed as a film about women taking back control. There’s some degree of truth in this, it is certainly a reflection of aspects of life in the US today. Certainly, the scenes of trigger happy Police and the gun purchase fair all seem rather poignant. However, there was way too much room on the screen for relatively inconsequential male characters – notably Jack Mulligan played by Colin Farrell, it is also pretty violent, be warned. 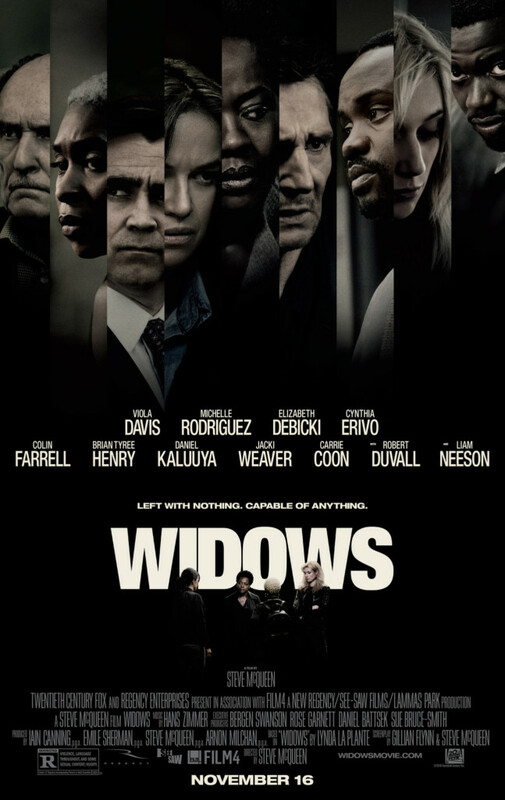 Here is the trailer for the new film Widows.